Pioneers in the industry, we offer retort vertical retort from India. We produce the best performing heaters including Retort Vertical that are generally material in treatment that includes heat. The warmth treatment plants can utilize these Vertical Retort Furnaces in various barometrical conditions. We fabricate these heaters under advanced arrangement of hardware. The Furnaces we produce is planned according to the determinations and the necessity of the customer. 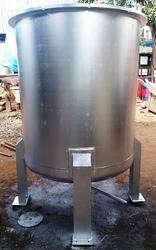 Our customers can profit these Furnaces in various measurements. The Furnaces we produce are impervious to any sort of corruption. Looking for Retort Vertical ?